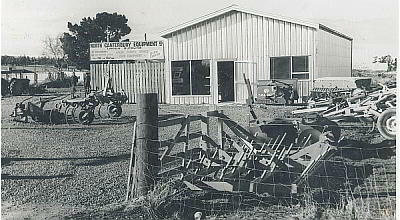 With humble beginnings in 2003 NC Hire was formed as a division of North Canterbury Equipment. Including mainly Farm Machinery, the fleet grew rapidly and begun to offer excavators and other Construction Equipment. After 10 years, NC Hire was formed as a separate company and split off from North Canterbury Equipment, and shifted building to offer our customers premium service and allocate for continued growth. Today we offer an extensive range of equipment from Construction Equipment, Access Equipment and Farm Machinery. We don't set out to be the biggest hire company out there, but the best in what we do-Supply Quality, Well Presented Equipment, on time and on budget.